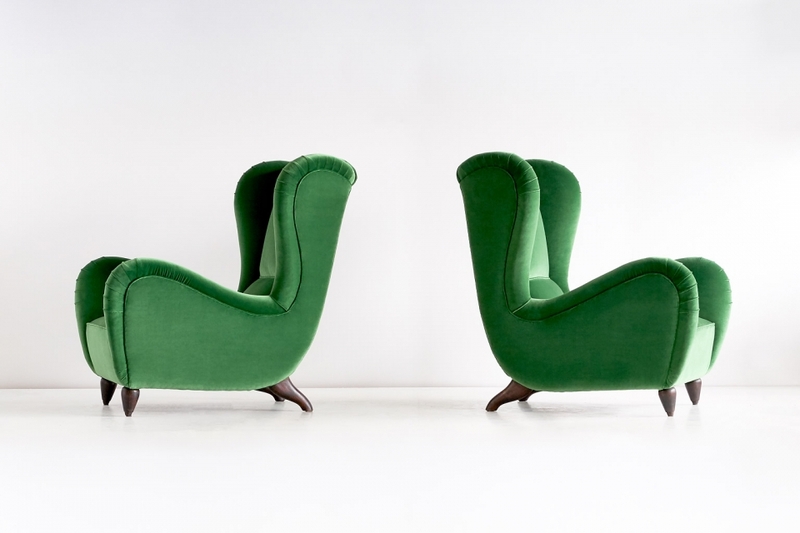 This important pair of armchairs was designed for a private residence in Milan and produced in the mid-1940s. The organically curved lines and sculptural wooden legs create a sumptuous presence. The generous proportions, the high winged back and the fully sprung seat make this a very comfortable chair. 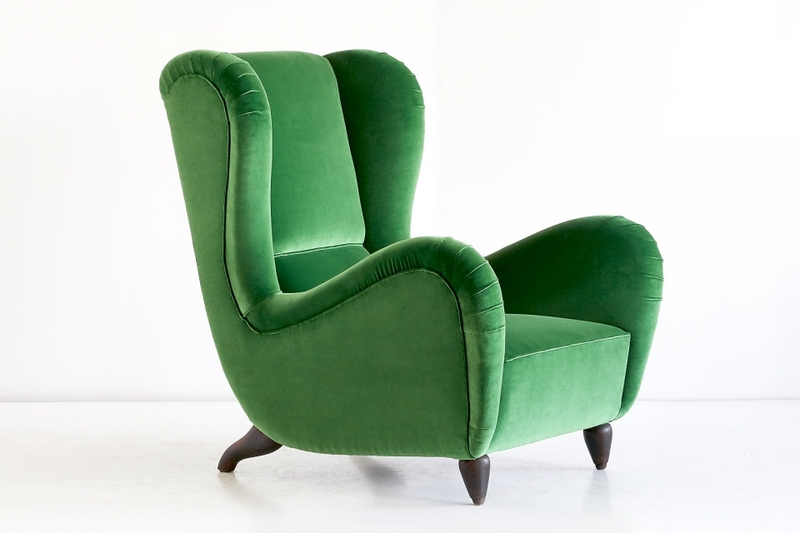 The chairs have been fully reconditioned and reupholstered in a luxurious green Lelièvre Paris velvet. G. Morazzoni, Mobili di Ulrich, Edizioni Luigi Alfieri Milano, 1945, p. 44, fig. 76. 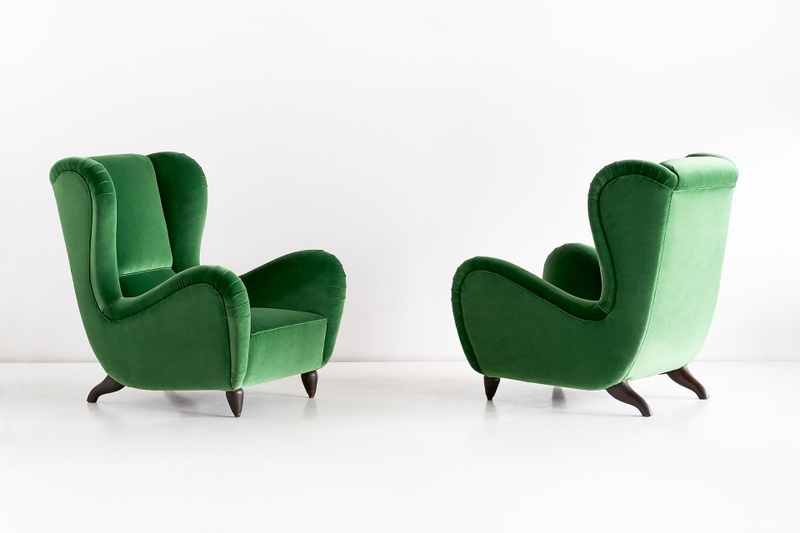 Biography: Guglielmo Ulrich (1904-1977) is a seminal figure of Italian design, born in Milan to a family of noble Danish descent. He was inspired by 18th and 19th century designs but combined this interest with a wonderful understanding of material and simplicity in form and function. The elegance and boldness of Ulrich’s designs is reminiscent of the work of his European contemporaries such as Carlo Mollino, Gio Ponti and Jean Royère. 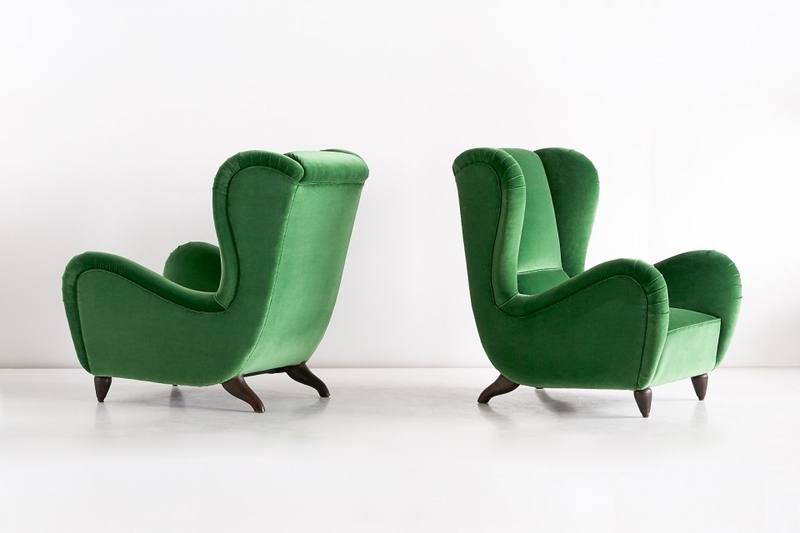 His idiosyncratic designs make Ulrich a main protagonist of Italian design of the 20th century. Condition: Excellent. 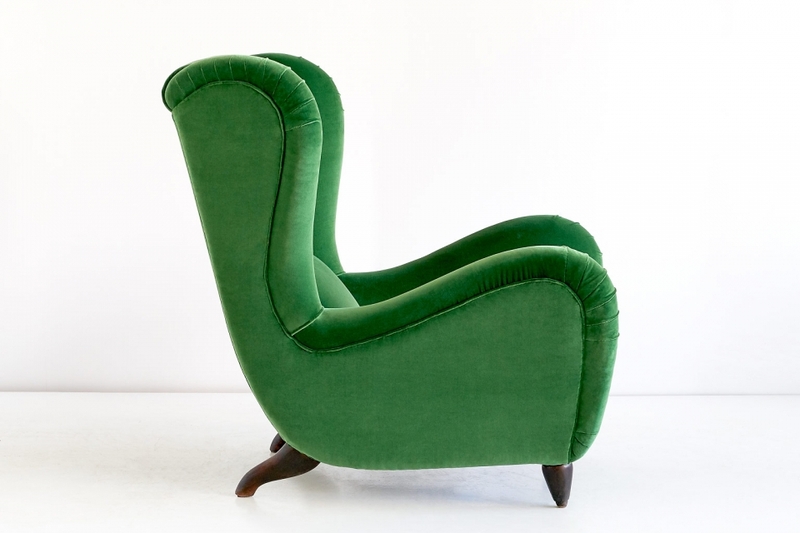 The chairs have been fully reconditioned and newly upholstered in a green Lelièvre ‘Cosmos’ velvet.